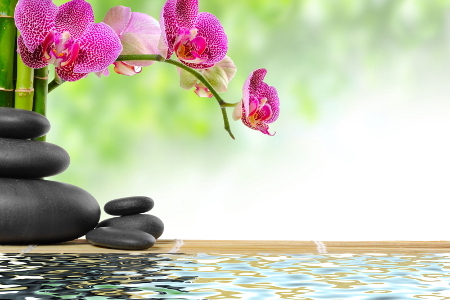 I am a graduate of Suncoast School of Massage and have been practicing since 2001. I offer a client-focused, nurturing, and therapeutic experience. I am committed to lifelong learning so more modalities and techniques are always being introduced. Techniques utilized include: Relaxation/Swedish massage, Deep Tissue/Neuromuscular therapy, Hot Lava Stone Massage and Ashiatsu Oriental Bar Therapy. Utilizes different tissue manipulation techniques. Can be relaxing and/or therapeutic. Pressure can be light, moderate or deep. Swedish, deep tissue and neuromuscular techniques can be used in this service. The original western barefoot bar massage technique using deep tissue/compression effleurage strokes that glide over the body. Specific strokes create a structural change in chronic soft tissue damage and provide deep relaxation. You should be in good health to receive Ashiatsu. Melt into a blanket of warmth as you experience the soothing, meditative state of Hot LavaStone massage. This exotic treatment involves classic Swedish style strokes accompanied by heated polished lava stones. Oil is applied to the skin while hot stones glide into your tired sore muscles. This will encourage deep relaxation and calm the soul. Not suggested for women who are pregnant or person with a pacemaker. Session time is listed as 150 minutes because this includes prep and cleanup for the stones but the actual table time for massage is 90 minutes. "Always a superb experience in every direction and so exhilarating. The distance is worth the difference. " "An amazing experience. This massage was a gift from my wife who has gone to Charlene for years. I was skeptical. I truly enjoyed the session and will go back again." "It has been years since I had such an effective and thoroughly professional deep tissue massage. I enthusiastically recommend Charlene as an excellent LMT.3"